A roof inspection requires indepth investigation. We spend the time to take a really comprehensive look at all aspects of your roof. Considering that a quality roof inspection is a relatively small investment the advatages are worth while to you. Is your roof leaking? Many Canadians who own homes don’t address roof leaks before they cause serious damage. Roof Damage is usually discovered at an advanced stage, which means higher cost for repairs and a major inconvenience. At BC Roof Inspections, personal and professional is our priority. Our roofing consultants provide you what you need for superior and cost effective roof performance. Call BC Roof Inspections Today For More Information. 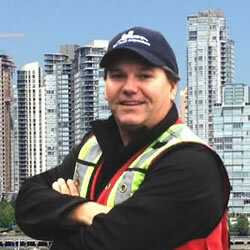 BC Roof Inspections operates in the Lower Mainland and Fraser Valley. We are a full service inspection and consulting firm with years of experience to go along with our sterling reputation. A roof inspection should be done once a year by a qualified roof inspector to check for wear and damage to the roof. It is better and more cost efficient to make minor repairs, which will be seen during your roof inspection, yourself than replace whole areas of your roof. We are an industry leader and we guarantee satisfaction for our customers.